Can someone please explain to me how October is over! When you read this post Halloween would have just been over and its pretty much Christmas everywhere you go! I love this time of year! It is so exciting and I honestly cannot wait till Christmas and then its my birthday in January, even though I'm going to be 25 which really is scary and life is passing by so quick! My twenties seem to be flying by and it is the worst thing. I'm determined to have more friends, go away on holiday and finally have a boyfriend; someone who I will get married too. Yes thats what I am hoping. Fingers crossed! October has just been like last month in a way apart from blogging. I am so disapointed with myself and I feel like a failure. I am not a full time blogger as the majority of you will and felt like I needed a few days break from it. I was busy working and on my days off I have been watching Game of Thrones which I love! So it became a back seat. However do not worry guys I'm back and feeling great. The greatest thing I realised was that my Reflecting on September post last month got so many views it became one of my popular posts which makes me so happy that you all loved it! I was very shocked by that and I want to thank you all! As you may know I have blog lovin' and its where you can read your favourite bloggers post on the app for free. It really is great and most bloggers seem to have it like myself! I find it is a great way to draw in new readers and it is such an easy way to read a post plus you get notifications everytime a blogger posts who you follow. It is as simple as that! The link to mine is on my blog so make sure you check it out! 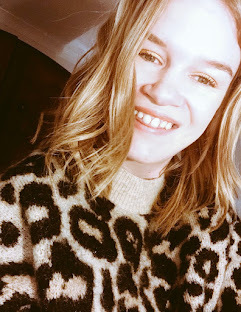 I also decided to do a favourites post this month as I did not do one and I also went on a shopping spree and bought some lovely things that I wanted to share with you. This has literally been my month really so I apologise this is slightly shorter than usual. I do have some changes happening at work and which means I also will be working on a Wednesday so that means Friday is my blogging day! I felt like this had to be in this post as it just happened, sadly on Friday 28th October I lost my wonderful Grandad, it came as a shock to us all and I cannot believe he is not with us anymore. I miss him more than ever and it is so hard at the moment and I was so lucky to have such an amazing person in my life. I know he's always going to be with me. I love him so much. You may have realised I have not been posting a lot lately and this is why. I will be back soon posting daily on Instagram but things will be back to normal soon I hope.